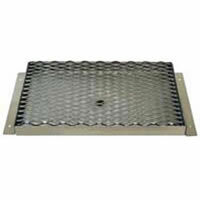 These Counter mount drip trays/drains for draft beer come in a variety of sizes. Click the "Product Options" Tab to view and select the size you need. All drip trays have 1 drain. The 48" wide drip tray has 2 drains.